Brief Description: 'Last Lunch" is the first of two series finale's on this list. 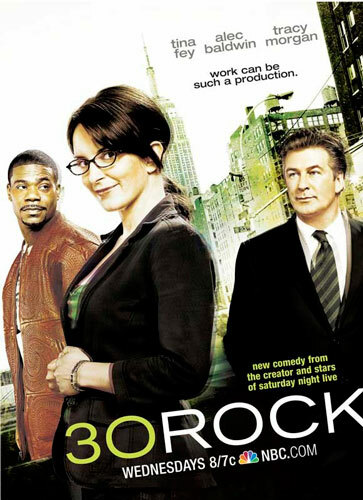 One of the complaints I had with the second to last season of 30 Rock was that the characters weren't developing or growing. Now a show does not necessarily need to do that (Seinfeld being the best example of that), but it felt natural for the characters in 30 Rock to do so. In the final season of 30 Rock, we finally got to see characters grow to their full potential, and "Last Lunch" was a great culmination of that. Brief Description: It' almost impossible for Saturday Night Live to have every one of their sketches be even above average, nevertheless have them all be good. But when you have former cast member Jimmy Fallon (who would probably be one of the all time greats if he didn't laugh and ruin every sketch he was in) and the master of all things SNL Justin Timberlake together in one place, good things are bound to come your way. Really, the worst "sketches" of the night were JT's two singing performances. Brief Description: The focal point of Season 4 was finding a man by the name of Drew Thompson. Spoiler alert: Raylan Givens finds him. What made "Decoy" so great is how Raylan and the Kentucky Marshalls got him past everyone else that was looking for him. Justified was so amazing in 2013 because it was just so much damn fun to watch. "Decoy" represented everything that was good and right in the world of "Justified". Brief Description: The season 6 finale of Mad Men is the best episode of the season and rightfully earns a spot on this list just for the speech he gave to Hersheys. If you don't know what I'm referring to, then you have a lot of Netflix binge watching to do. Brief Description: The Netflix version of A.D. didn't work was because the big cast became so popular after the show's initial run, that they were able to get other projects. It then became almost impossible to get all the actors filming at the same place at the same time. What we got instead were specific episodes focused around different characters. Generally, this didn't work for me, expect for the Bluster Bluth episode. The episode was so good that I didn't mind Tony Hale's Best Supporting Actor Emmy win for Veep, because I just assumed Emmy's voters gave it to him solely based upon his incredible and funny work during "Off The Hook". Brief Description: No show brings out more genuine emotions in a viewer than Parks and Recreation. This show will make you laugh until you cry- and then will make you straight up cry. Of course "Leslie and Ben" makes you do both. After hosting a fundraising gala, Leslie Knope (Amy Poehler) and Ben Wyatt (Adam Scott) spontaneously get married. Any fan of Parks and Rec who didn't love this episode doesn't have a soul. But then again, if you don't enjoy Parks and Rec, then you probably don't have one to begin with. Brief Description: I'm confident the penultimate episode for every Game of Thrones episode will just end up earning a spot on this list. 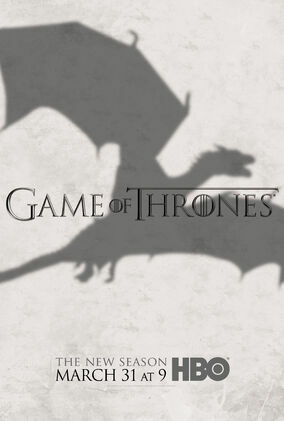 Season 1 gave us the Eddard Stark beheading, Season 2 gave us The Battle of Blackwater, and Season 3 gave us this episode- aka The Red Wedding. If you're still unsure about how awesome this episode was, just YouTube "People's Reaction to the Red Wedding"
Brief Description: While 30 Rock was by far the more consistently funny show, The Office series finale is the one that earns high praise in my book. Many people (and I'd probably be one included) felt The Office should have ended with "Goodbye, Michael" because that would have been a much more satisfying ending. However, Hitfix's Alan Seipinwall said it best: " 'Goodbye, Michael' was the conclusion to one character's story, and though Michael was the center of 'The Office,' this world was bigger than him." That's what made The Office finale so great. It was that we got to see the equivalent of "Goodbye, Michael" for almost all of the other characters we've grown to love. "Ozymandias" was neither the final episode, nor the penultimate episode of Breaking Bad- which is rare for an episode on a show of this caliber to be this good! That being said, I felt like "Ozymandias" was the true end to Breaking Bad, and the two episodes that followed it were just the epilogue. I know I lot of people praise "Felina" for being an all-time great series finale, but me, I would have much preferred an ending like "Ozymandias". "Felina" wrapped things up too perfectly, which actually marred my experience of the episode. Breaking Bad has never been a show to have everything work out well on the first attempt. It has been a show that pins Walter White into a corner where you don't think he has an out- and that's what "Ozymandias" was. Brief Description: There was not a single episode of television that I enjoyed more in 2013 than the detour The League took with "Rafi and Dirty Randy". The episode starts off with Jorma Taccone getting murdered into a skeezy hotel room, and you think your T.V. is broken. But then The League title page and theme music comes on, and the show cuts to a shot of the guys at Gibsons. That opening seemed weird, but at least you know you're watching the correct show. Then Rafi comes into the bar crying hysterically that his friend (who it turns out to be Taccome) was just murdered. What happened next was just 22 minutes of bliss. 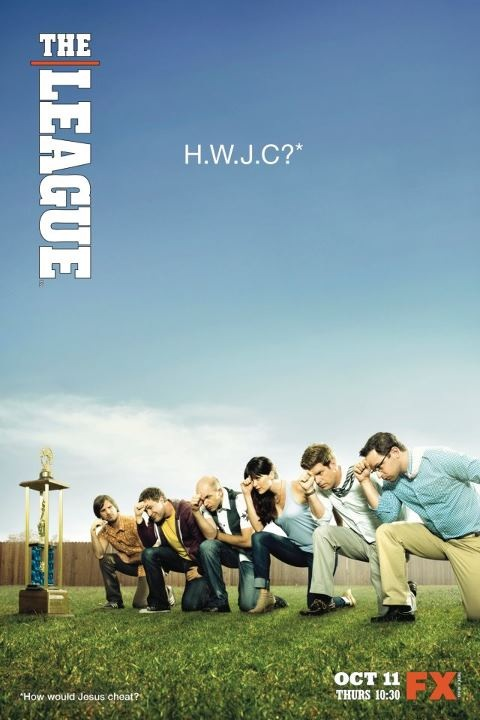 Rafi (Mantzoukas) enlists the help of his friend Dirty Randy (Rogen) to search for Taccome's killer and the two embark on a road trip from Chicago to L.A. Not only was this an episode unlike anything The League has ever done before, but it was an episode unlike anything on television. While the show credits Mantzoukas and Rogen as the writers of the show, I'm fairly certain the two actors just improvised everything they did. And what they improved is something I couldn't stop laughing at. The humor (as you can expect from Rogen and The League) is rude and crude, and almost feels like an NC-17 version of a Judd Apatow movie. In terms of cinematography and production value, episodes of Breaking Bad and Boardwalk Empire blows anything The League does out of the water. But in terms of which single epsiode of television that I enjoyed the most, hands down it's "Rafi and Dirty Randy". What was your single favorite episode of 2013? Let us know on our Facebook page! What Should The Bears Do With Jay Cutler?